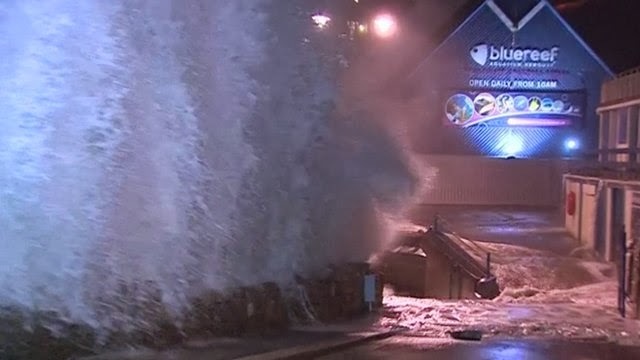 Over the past few weeks the coasts of the UK have been hit by storms and very rough seas, sea defences have taken a battering and in many cases have been breached or washed away. 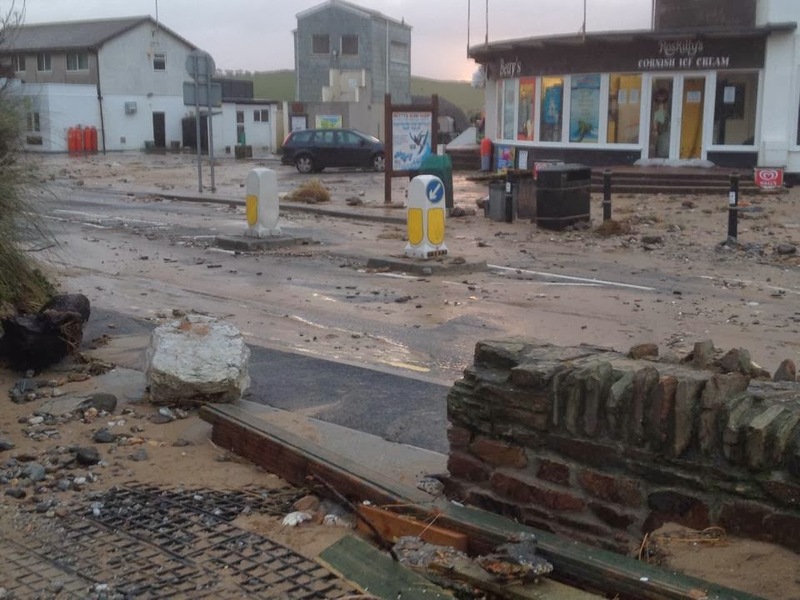 Many areas have suffered flooding, and there are warnings of yet more to come. When the storms hit the coasts we often see massive waves battering the coastline and the spectacle of these and viewing the power of the sea bring many people out to watch. 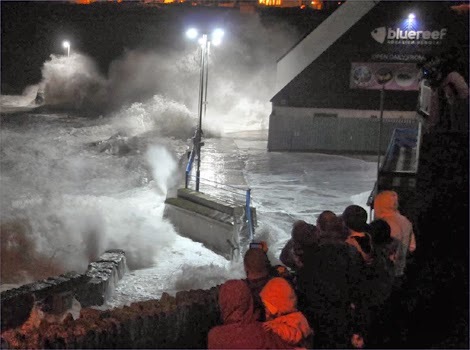 I can appreciate wanting to go and watch, it is really amazing to watch but what amazes me is that so many people have so little idea of the dangers or the power of the sea, they take risks with their own lives and often with their children's lives too. They get close and think it is funny to play dodge with the waves, the only danger they see is perhaps they will get wet. I have spent the majority of my life in and around water, I grew up next to the Thames, I joined the Navy, I have been at sea in horrendous conditions, including force 12 gales & hurricanes. I now live on the coast and I am a volunteer Coastguard Rescue officer in addition to my full time career as a Police Sergeant. As part of my duties I have often had to tell people to move out of the danger area, they look at me like I am just being 'officious' and trying to ruin their enjoyment. We then have to remain just in case someone ends up getting hurt or in a dangerous situation and we (the emergency services) have to rescue them, placing our own lives in danger. 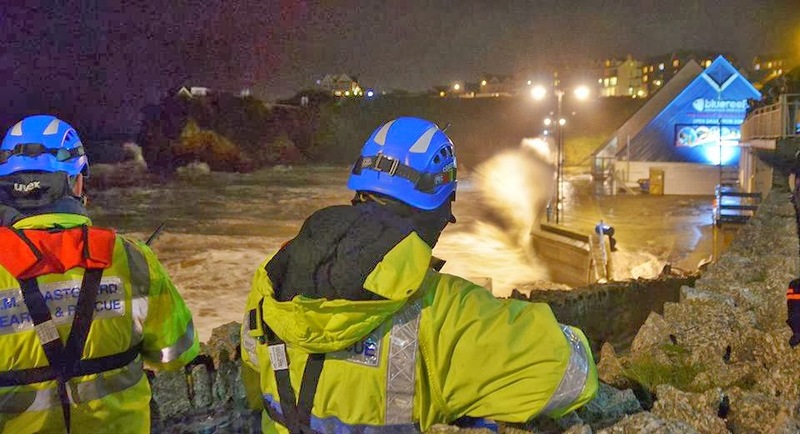 Early in my Police career I was involved in an incident where two people thought it would be great to go down to the coast in a storm and video one being splashed by a wave. They didn't count on the sea being so powerful, both were swept out, one died and one was rescued. Every year people are swept to their deaths, we see the reports on the news of the distressed families, the rescue services often putting their own lives at risk to save the lives of those in danger. Look at the debris thrown up by the sea, huge rocks and stones tossed about as though they were made of plastic, those seas crashing against the shore often contain these, imagine one of those hitting you on the head, or striking your child!! 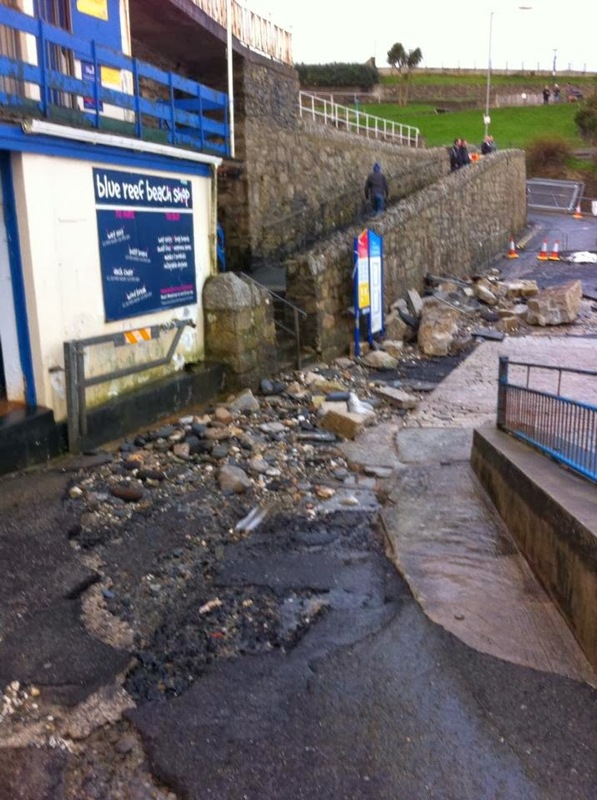 Last week there were people stood on the slope pictured below, just behind the sign, (some with their children), look at the debris thrown around by the sea which was landing inches from them! 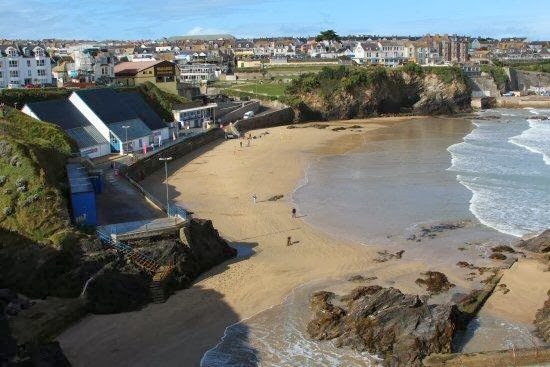 15cm of fast flowing water will knock an adult off their feet, look at the waves, they will knock you over and quite easily drag you out to sea! 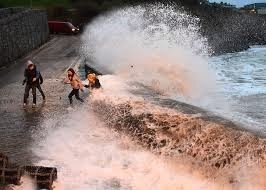 So if you must go and 'wave watch' please do so from a SAFE distance, you do not need to get close. Certainly do not play 'dodge' with the waves because you really are gambling with your life! 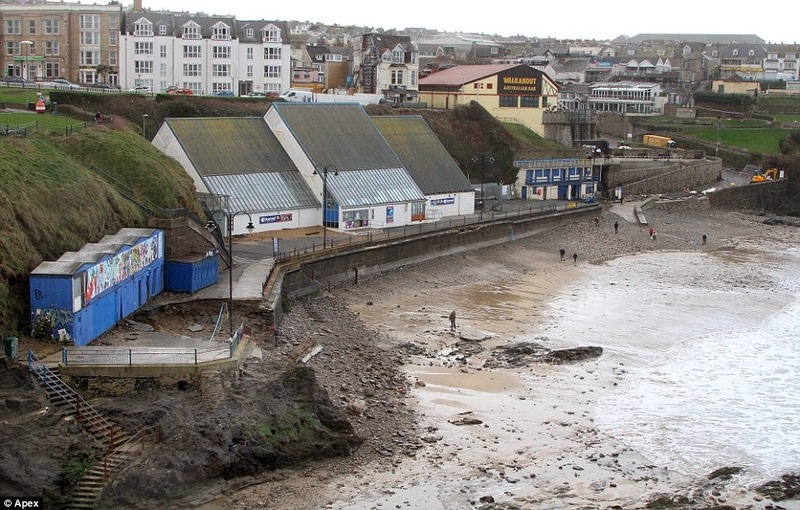 Is it really worth risking your lives just to get up close and personal to the sea? Shall I stay or shall I go now?